The opening slide has a minimalist layout where you can introduce your topic, add a logo and provide other relevant information. The title slide has a subtle polygon design in the backdrop, with space for adding a title, subtitle and website URL. 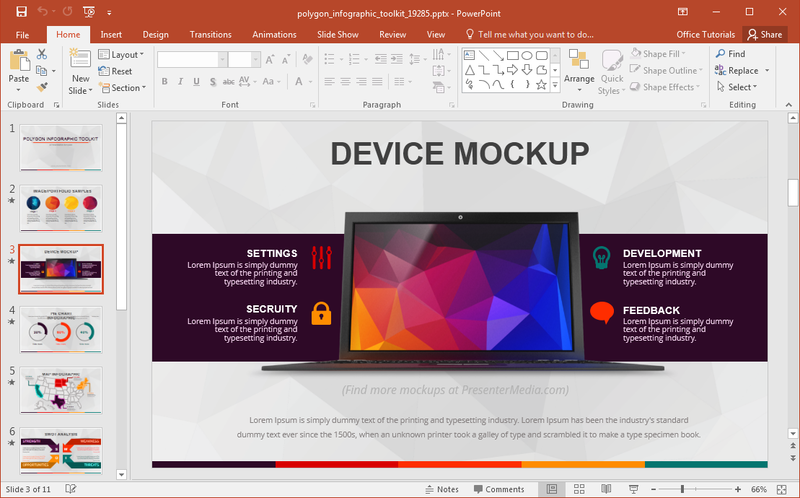 This slide has a lot of empty space, which makes it possible to add relevant information to introduce your topic, organization and people tied to the presentation (e.g. a project team). 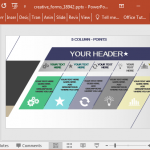 The sample slides provide different types of unique layouts for making content slides, comparisons, charts, showcasing information using maps and more. 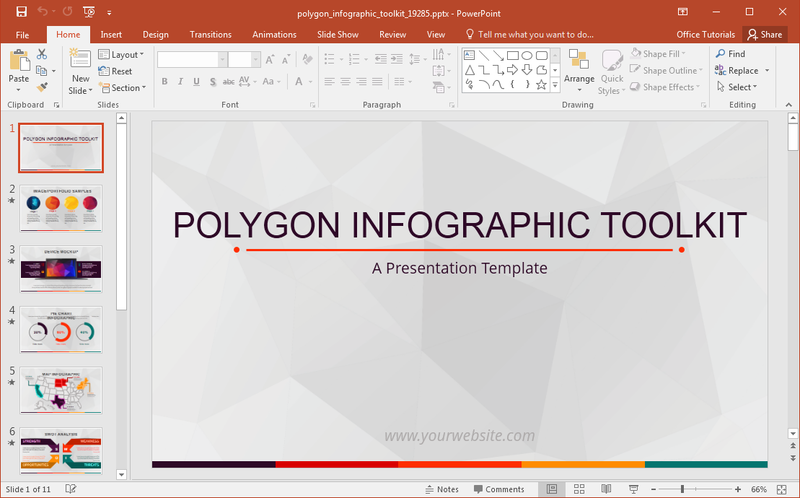 The title slide is followed by a portfolio slide, which sports sample polygon shapes that can be replaced with images for making an infographic or portfolio of your team. 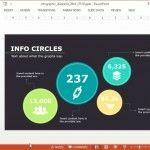 This is followed by a sample mockup slide which you can use for making a mockup infographic. 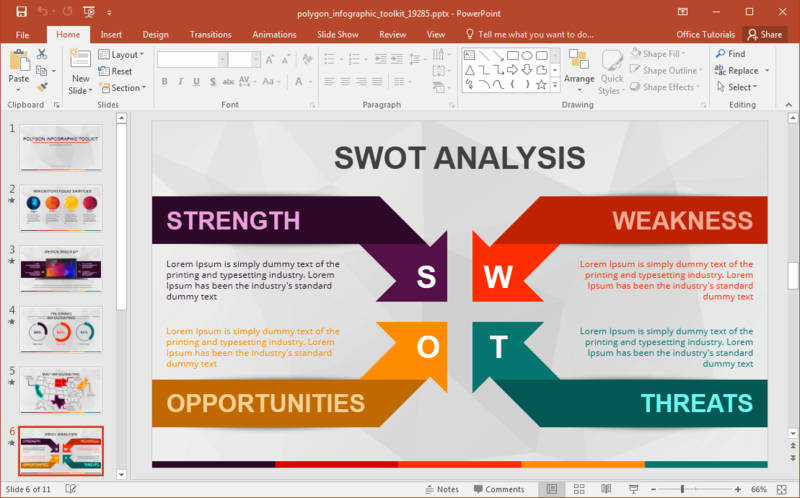 The slides that follow provide a sample chart, map of the United States, SWOT Analysis layout, focus arrow, timeline and comparison slide. 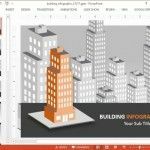 This is a toolkit template which provides 10 slides with sample layouts and clipart to help you design beautiful infographics. 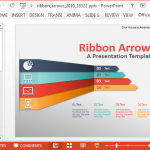 The sample slides are animated, so editing them will automatically generate animated infographic slides. 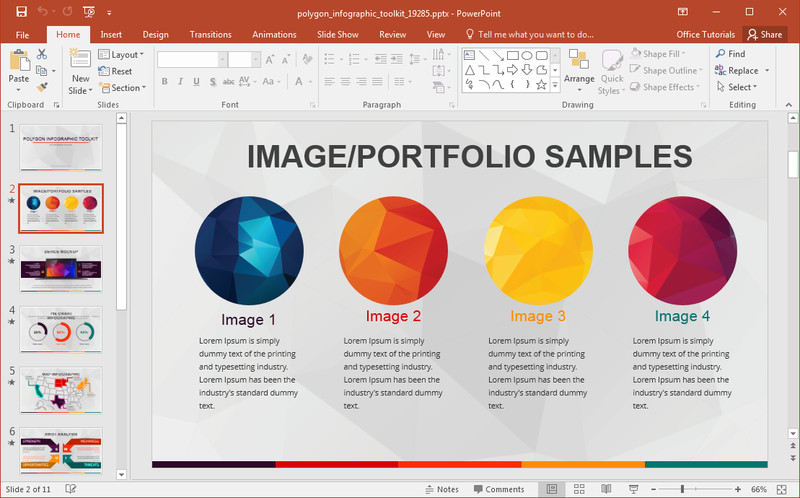 You can also duplicate slides and copy objects from other slides to design custom infographics. 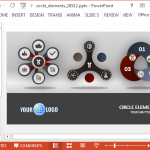 The final sample slide provides clipart to help you design your own custom infographic using various symbols. 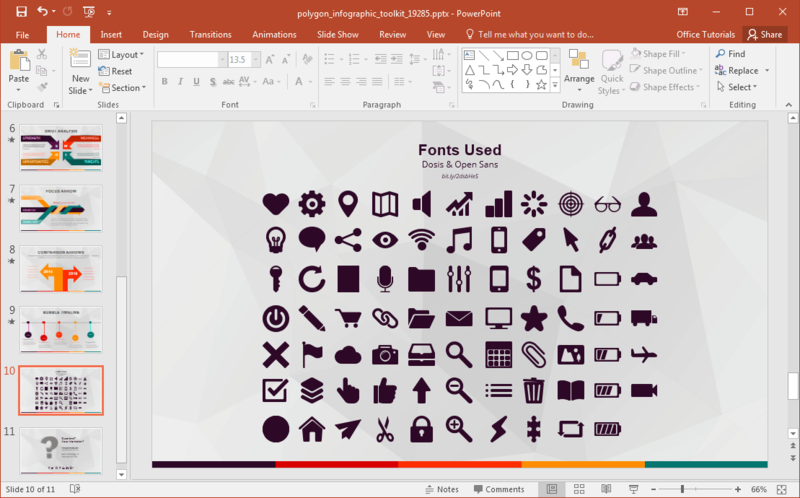 You can copy and recolor these symbols for use in your slides. These symbols present various signs tied to business, finance, technology, health, as well as generic symbols which can represent an infinite amount of things, such as the tick, cross, vehicle and flag symbols.